Zuppa di aglio. Versions of this soup exist all over the world. 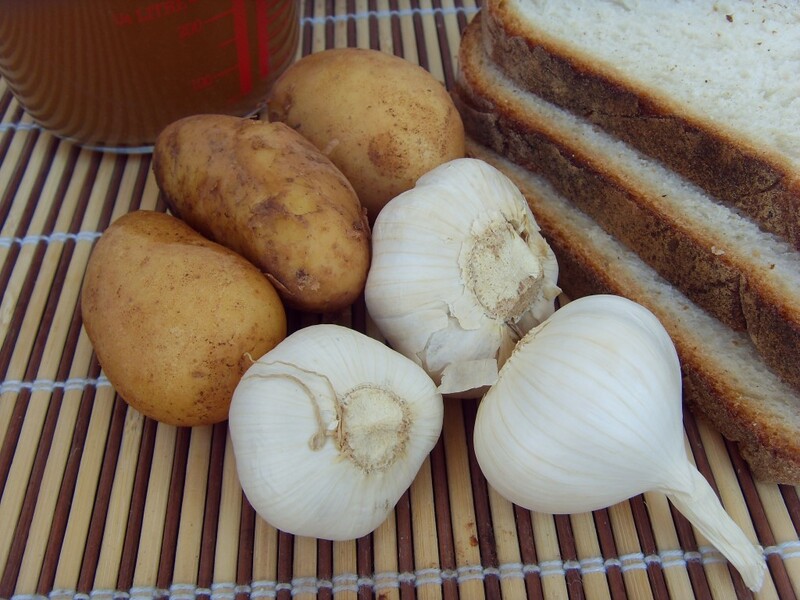 I used to live in the Czech Republic and česnečka was said to be a fantastic cure for a hangover 😉 It is best made with new season “wet” garlic, but regular dried garlic will give good results. Use very good stock, it will be so much better than cubes. It can easily be made vegetarian by using vegetable stock and a vegetarian cheese. Serves 4. Simmer the garlic and potato in the stock for about 20 minutes. The garlic and potato should be very tender. Liquidize until smooth and season with salt and pepper. Cut a clove of garlic in half and rub the cut side on both side of the toast. This will produce quite a strong garlic flavour, so be careful. If you prefer a mild flavour, leave out this step altogether. 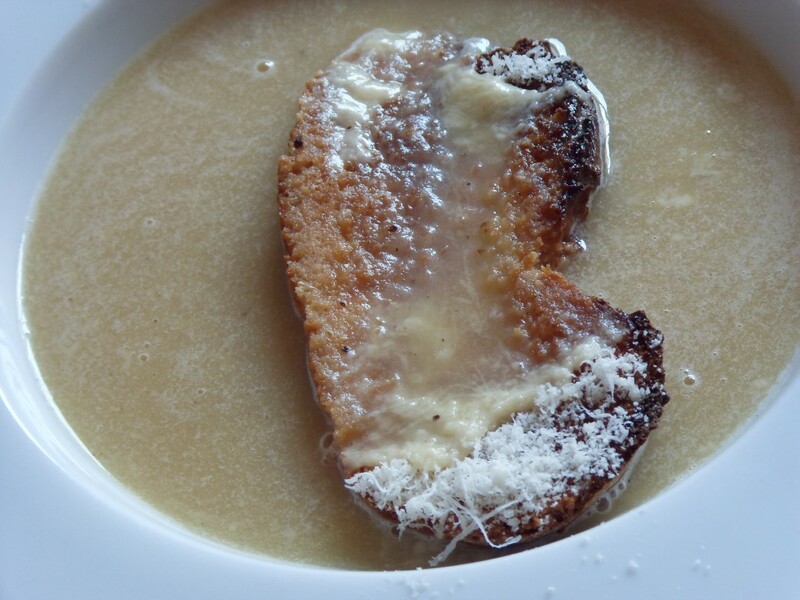 Drizzle the toast with olive oil, put a slice into each bowl, pour the hot soup on top and sprinkle with parmesan. This looks wonderful. Right up my street! My blog is predominantly Italian recipes, I adore this type of cooking. Thanks for sharing! Is this a typical recipe from a specific region in Italy? I don’t think so. I couldn’t find any reference to a region online.